Fall is an exciting season in stroller land! This is when all the baby trade shows are taking place and companies unveil their newest products for the upcoming year. 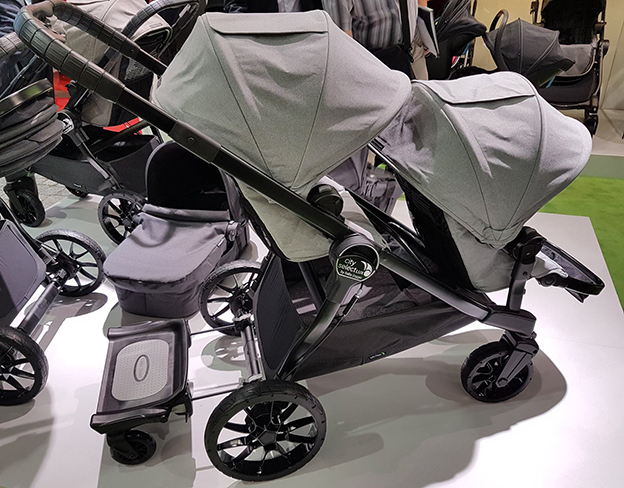 Here are some of the coolest new strollers to get excited about, which were debuted at the The Kind & Jugend in Cologne and ABC expo in Las Vegas. 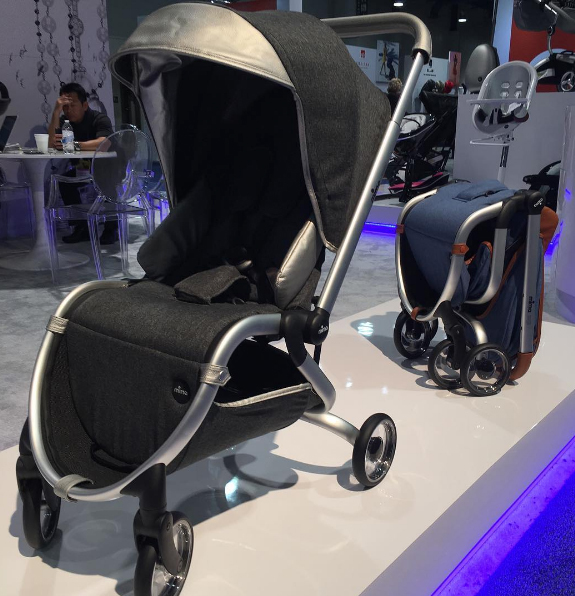 Silver Cross, a British brand known for luxurious prams and pushchairs, is coming back to US market in 2017 with a new, gorgeous, single to tandem stroller, the Wave. The Wave system can be used in 15 different configurations and accommodate two children with a combined weight of up to 100 lbs. The large basket can hold up to 33 lbs! This fashionable stroller is made with lots of attention to detail, both in aesthetics and function. The Wave system will be sold completely accessorized and will include the frame, infant bassinet with mattress, reversible seat unit, fabric sets, mosquito nets, rain covers, car seat adapters, tandem connectors and a cup holder. Considering that the set includes a seat and a bassinet, you can use it for two children right out of the box! Available in 4 tailored colors, Granite, Sable, Claret and Midnight Blue, with coordinating trim. Wave will retail for $1,299 and will be available in Spring 2017. Harvey is the world's first single to tandem stroller with an extendable frame! Created by the Dutch brand Easywalker for 2017, Harvey is an innovative, modern, stylish stroller that grows with your family and can be used in many different configurations. 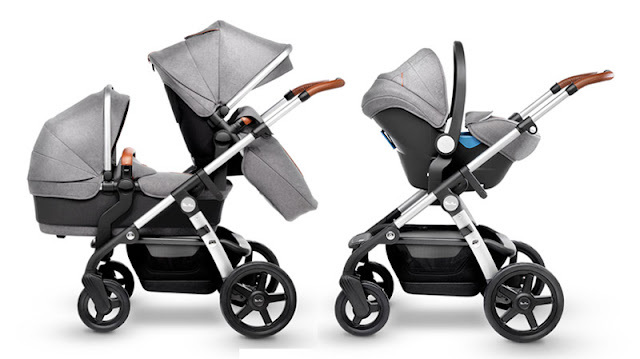 In a single mode, the stroller weighs only 10.8 kg and features a one-hand compact fold. More reasons to fall in love Harvey? Reversible seat unit, all-wheel suspension for a smooth ride, one hand - four position seat recline, extendable lined canopy with ventilation, adjustable telescopic handle, high quality, water repellent textiles, leatherette accents and a large basket. 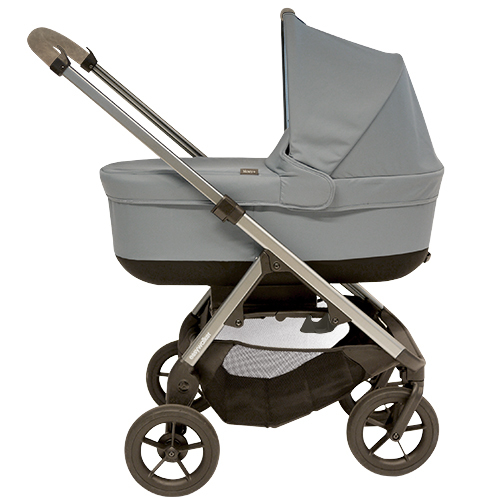 The carrycot is suitable for overnight sleeping and is lined in soft, quilted fabric that's easy to clean. Harvey will be available in 5 colors: Coal Black, Steel Grey, Fresh Olive, Soft Caramel and Classic Bretton. Easywalker also offers a range of matching accessories to complete the set, such as an infant carrycot, water repellent footmuff, car seat adapters and more. Harvey will be in stores Fall 2016 and will retail for 650 euro. The Easywalker Mosey+ is an updated version of the extremely popular original Mosey. Since the original is pretty awesome as is, it's really hard to imagine just how wonderful the Plus version will be. Among some of the upgrades are a lined canopy, improved leg rest, seat liner that extends to cover the sides of the stroller, lever recline, larger underseat basket, improved bassinet cover, new colors and leatherette accents. 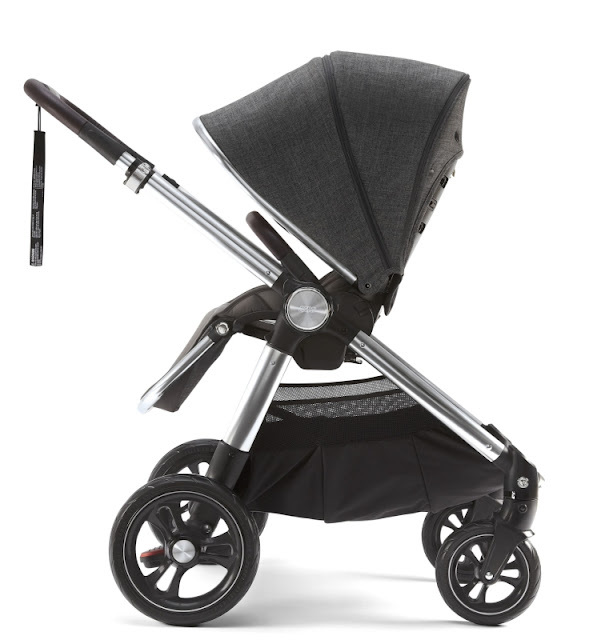 Just like the original Mosey, the stroller features a one hand, compact fold with the seat facing in either direction. The new Mosey+ will be available in 4 colors: Moss Green, Pebble Grey, Charcoal Black and Steel Blue. 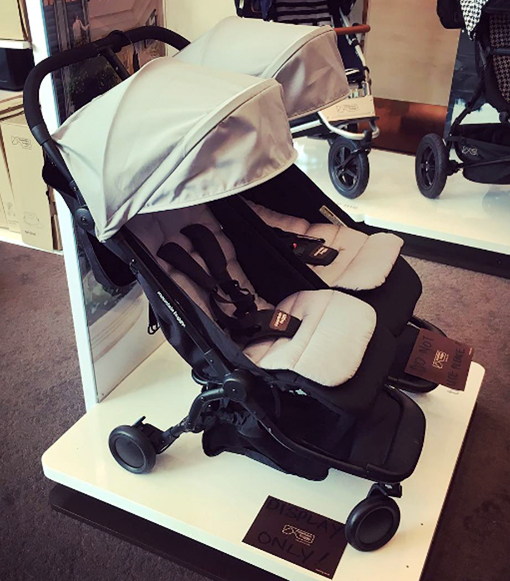 The Ocarro is a stylish, full featured stroller that is suitable from birth. 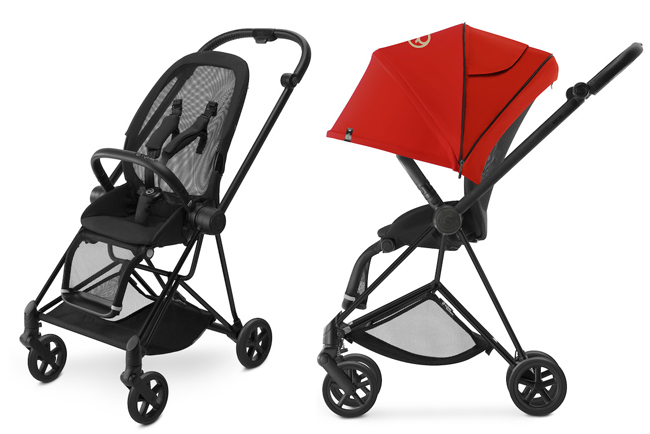 The seat unit is reversible and the stroller can be folded with the seat facing in either direction. The frame can also be used with and infant bassinet or car seat. Ocarro rolls along on robust, all terrain wheels with dual suspension for a smoother ride. Other great features include; extendable, lined canopy, plush seat with head-hugging pillow, adjustable handlebar, swing away bumper bar, chunky all-terrain wheels, flat seat recline, huge basket and compact fold. Available in 3 colors with leatherette trim. Ocarro will Retails for $630 and can be pre-ordered HERE. Travel strollers are a big hit for modern parents and Baby Jogger has jumped 'on board' (pun intended) with the new tiny City Tour. This is not a feature-full stroller, but it's convenient, compact and affordable. 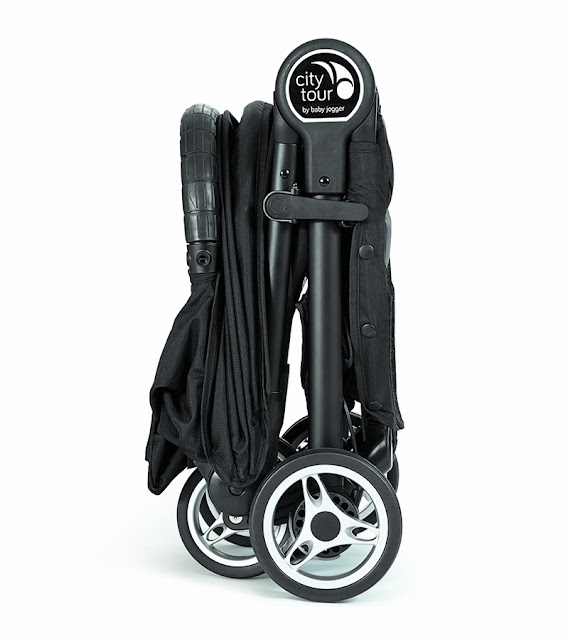 Weighing only 14 lbs, City Tour meets IATA standards for corry-on luggage and even comes with it's own backpack style carry bag. The folded stroller measures 22” x 9” x 17.7” inches and is suitable for kids up to 45 lbs. 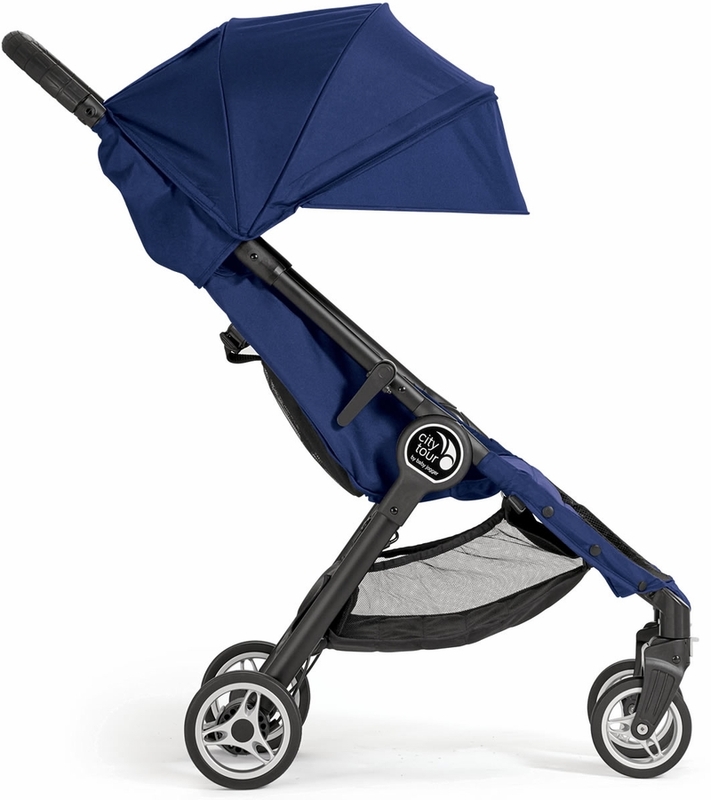 For a tiny stroller City Tour has a reasonable size canopy with peek-a-boo window, rated UV 50+, front wheel suspension, a deep (though not flat) recline and one-hand quickfold technology. Optional accessories include a belly bar, rain cover, cup holder, parent console and more. Available in 5 colors, the City Tour retails for $199 and will ship October 2016. Mios is a smaller brother of the Cybex Priam luxury stroller. It features a sophisticated, modern design, a lightweight frame and a compact fold. The seat resembles the Lux seat on the Priam. It's reversible, reclines flat and has an adjustable leg rest. One notable difference is that the seat on the Mios is made of breathable mesh, making it ideal for hot climates. In colder weather, the seat can be covered with the included cushion. Suitable for kids up to 17 kg (37.5 lbs). Mios will be available in 7 colors, plus limited edition Birds Of Paradise design. 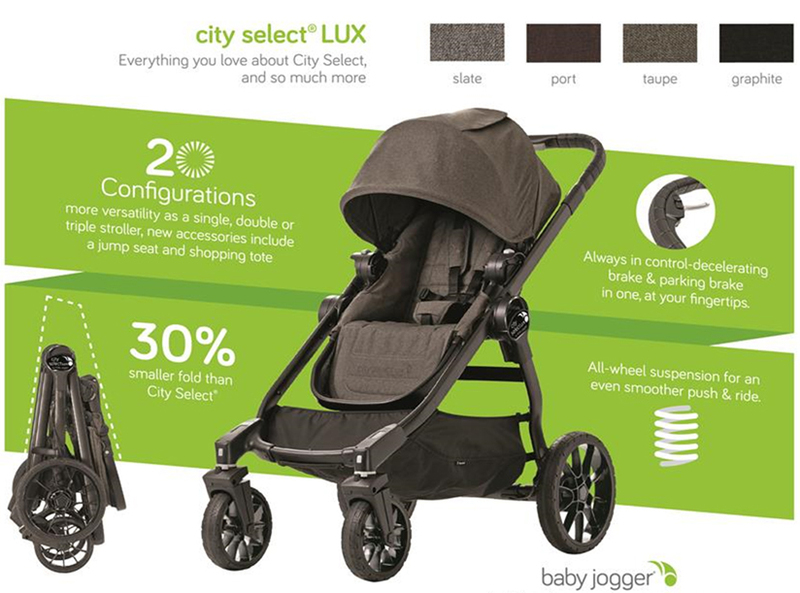 The City Select Lux is an updated and upgraded version of the popular City Select stroller by Baby Jogger. 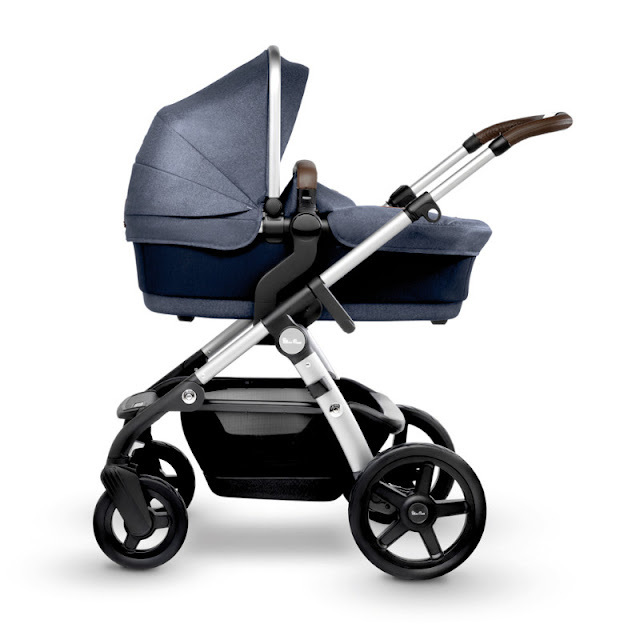 The Lux version has been updated with high quality, beautiful fabrics, all wheel suspension, a 30% smaller fold, new jump seat and shopping tote accessories and a better hand operated parking break. 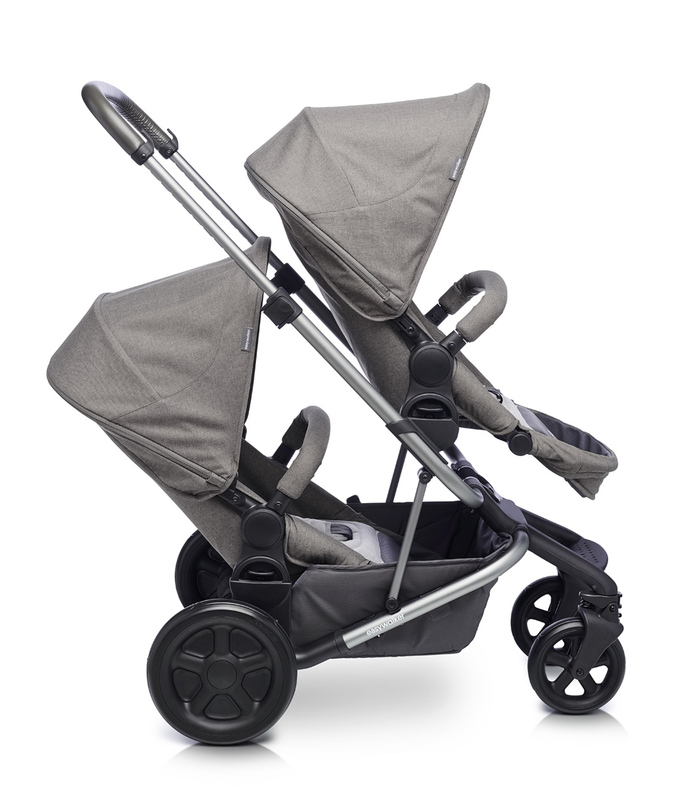 This stroller can be used in over 20 different configurations, and can accommodate one, two and even three kids! Will be available in 4 colors: Slate, Port, Taupe and Graphite. City Celect Lux will retail for $629 and will hit the market in May 2017. Zigi is the newest creation from Mima. 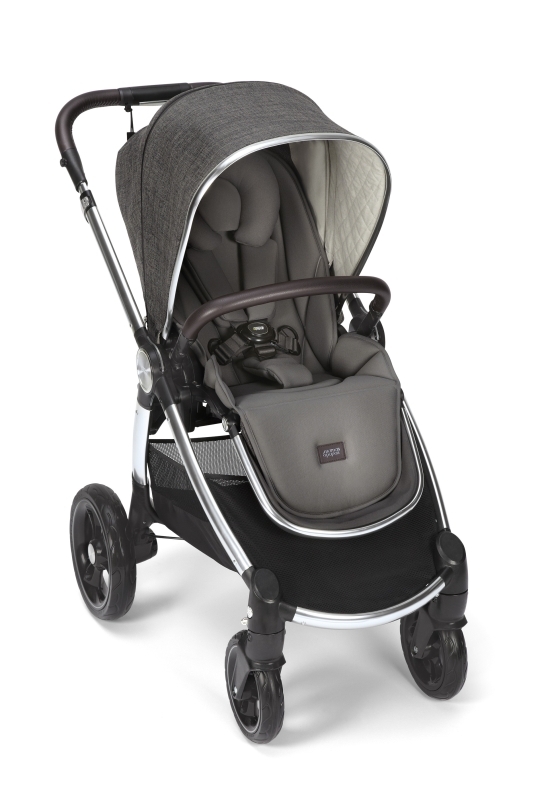 It's a super compact, lightweight stroller that does not compromise on quality or style. Zigi can be used from birth with bassinet or car seat. Features include: one-hand fold, adjustable handlebar, front-wheel suspension, cool, transparent wheels, fashionable textiles and leatherette accents. Zigi will be available in 2 colors and will sell around July 2017. 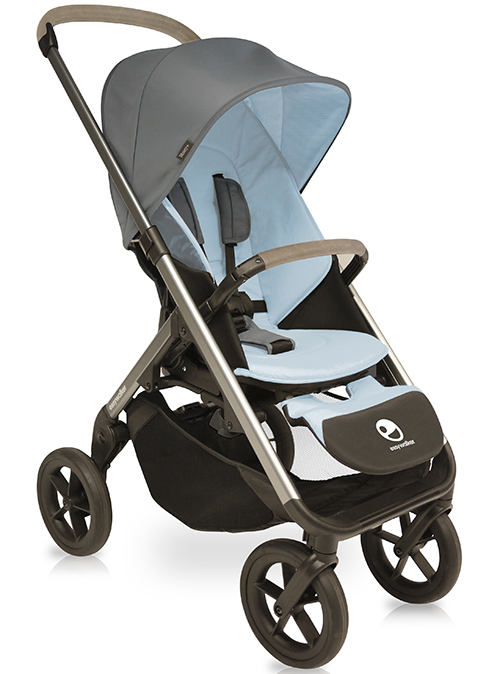 The Mountain Buggy Nano has been a favorite with many parents due to it's compactness and great push. I'm so glad Mountain Buggy decided to release a duo version! The Nano Duo weighs only 8.5 kg with a maximum weight capacity of 36 kg (79.4 lbs).